"Liverpool are top of the league after 16 games and looking like they are going to mount a real title challenge. That's because of the changes Jurgen Klopp has brought in. " Jamie Carragher says Jurgen Klopp has evolved significantly since his arrival at Liverpool and made huge changes that reflect on the team. Liverpool are now top of the Premier League after beating Bournemouth 4-0 at the Vitality Stadium, one point ahead of Manchester City following Pep Guardiola's side's 2-0 defeat at Chelsea. Klopp's side were lauded for their attacking, free-flowing football last season but now it is the defence that are getting the plaudits after conceding just six goals from their opening 16 games - the fewest at this stage of any top-flight season. And Carragher thinks the evolution of Klopp has played a huge part in his former side's unbeaten start to the season. When asked if Klopp's style has evolved, Carragher told Monday Night Football: "Yes, we have seen it. "Will he adapt or change from 4-3-3 and constant pressing all the time? Will his teams ever not be involved in end-to-end basketball games? Will he sort the defence out? I didn't think he would and that was always my worry. A lot of teams saw that we were good at that (Counter-pressing) and realised they were over playing. If the team gives us the opportunity to do it we will still be there with the counter-press. But very often it is not possible. "My worry was it was always going to be an unbelievable ride with Klopp but will Liverpool win the big trophies at the end of it?" he added. "They may not but they've been to a Champions League final already. "They are top of the league after 16 games and looking like they are going to mount a real title challenge. That's because of the changes Jurgen Klopp has brought in. That's the biggest testament to him as a manager. 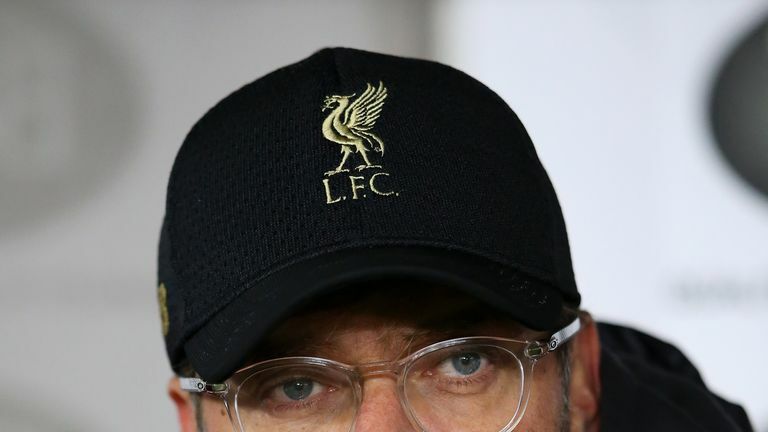 "I think Klopp's pigeonholed as running up and down the line, screaming and shouting and as this motivator but there's not much thought or tactical stuff going on behind the scenes," the former Liverpool defender said. "I think there's a myth with every manager because we always pigeonhole managers. "But did I think Klopp was capable of making the changes I've seen, certainly this season and the back end of last season? No, so he's actually an even better manager in my eyes for what's happening this season. "Not because Liverpool are top of the league because they were top at this stage of the season two years ago under Klopp, but actually the way they are going about it. "People are saying it's not exciting but that's absolute rubbish. What Liverpool are doing now is much, much better than anything we've seen under Jurgen Klopp since he arrived."